Guest Post and Giveaway 2: Jane Odiwe! Continuing our series of guest posts, today we are delighted to welcome talented author and illustrator, Jane Odiwe! 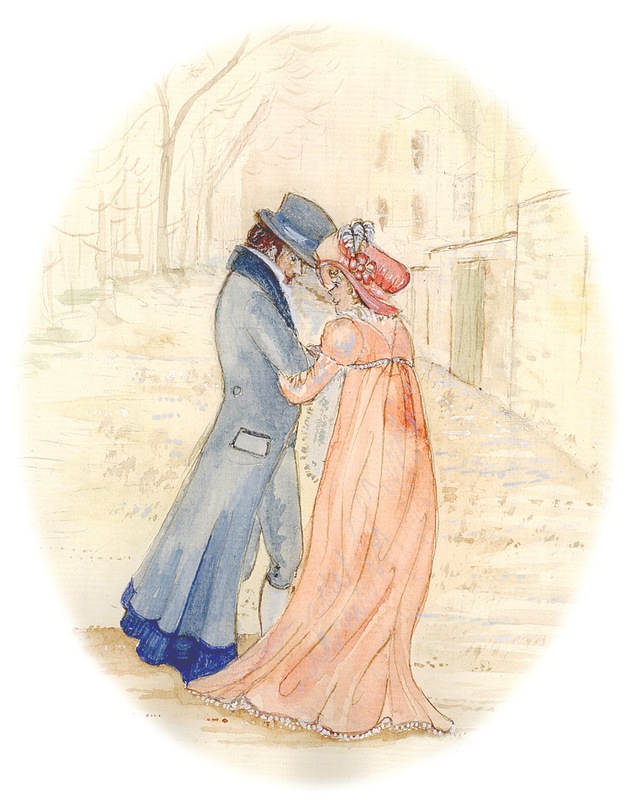 Jane has published several Austen-inspired novels, including some with Jane Austen herself as a character, and draws gorgeous illustrations depicting scenes from the novels or from the author’s own life. Thank you, Cass and Ada for asking me to be a guest on your blog – I feel very honoured to be here, especially as I feel I was almost present at the conception of your new book, a while ago. It’s been very exciting to follow you on the journey to publication – as I’ve said many times, I’m looking forward to reading it hugely and wish you great success! I was very young when Jane Austen first came into my life – I’m very lucky to have the names of both the heroines, Jane and Elizabeth from Pride and Prejudice, and the fact that Jane Austen shared my name made it doubly special. I think I was about seven or eight years old when I first saw an old film version of Pride and Prejudice, and I knew it was a book my parents loved so I just soaked it up in various forms throughout the years, as it was presented in books, on television and film. I loved watching adaptations and gradually reading all the books, discovering Jane’s genius in every one. I became more and more fascinated by the author herself, and wanted to know all about her life, reading every biography I could get my hands on. When I discovered that other people shared my obsession, and websites dedicated to her began to appear online, I spent all my spare time reading those too. 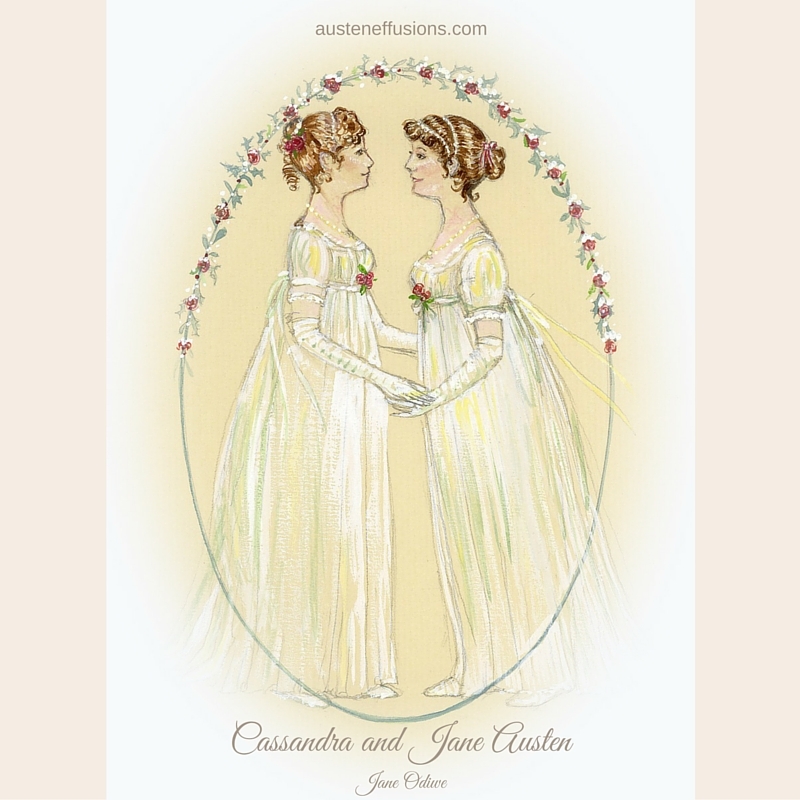 I started making some drawings of Jane Austen and her family, and accompanying them with letters, as if written by her sister Cassandra, and after I published a little book, I felt further inspired to attempt writing a novel. Jane’s life and work has continued to inspire every book I’ve written. You asked me about my latest book – I’ve just written a novel where I imagine Jane Austen has been given another chance to live. Her doctor’s ancestor discovers the secret to immortal life, so Jane grabs the chance to have more time to write all the novels she’s ever wanted, and in the body of a twenty-one year old with all the wisdom, memories and knowledge from her former life. However, it is now 1925, and Jane has to get used to a new way of life, and earn her living as a governess, the one job she always dreaded having to do. Her new employers, an aristocrat unable to keep his crumbling castle from going to rack and ruin, and his bohemian nightclub singer wife, are struggling to raise their children, though it soon transpires that the task is not quite what Jane expects. There are no small children, only five grown-up daughters and the charming heir to Manberley, who seem to have no firm ambition or direction. It’s immediately clear that the troubled Milton family need someone to help set their lives on the right track. 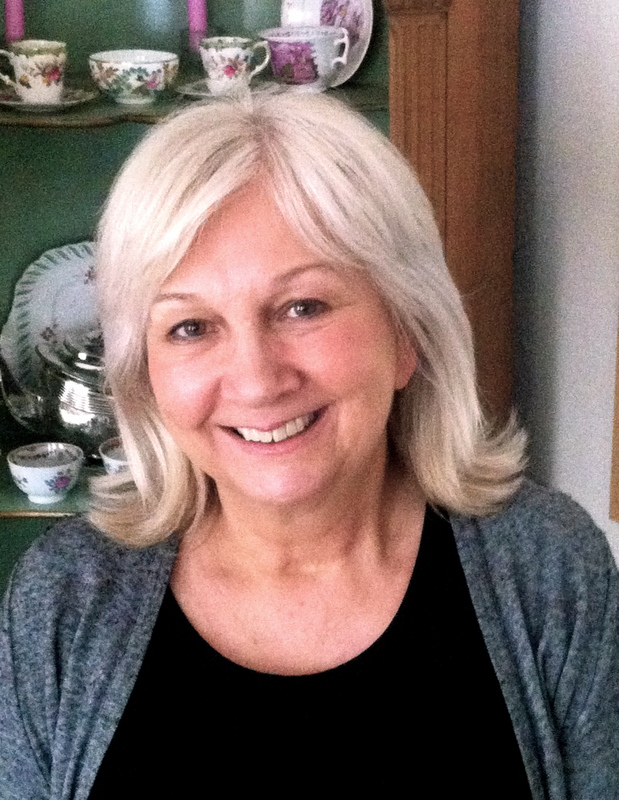 Using her great sense and vast experience from the past, Jane tackles every problem, guiding her charges, unravelling every romantic entanglement and offering sage advice, even when her writing has to take a back seat. In the midst of the chaos that ensues, she finds she is not immune to falling in love herself, not only with the Milton family, but also with an unexpected suitor, as much as she rails against it. 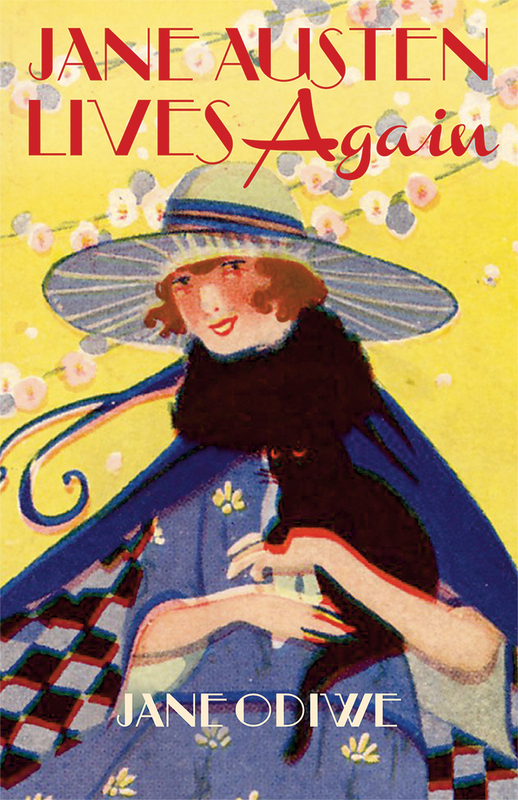 I loved putting Jane Austen in a different time frame, and it was fun to write about the Jazz Age, and what I imagined would be Jane’s reaction to it. I always think Jane’s books are filled with timeless advice on living life and lessons on how not to have your heart broken, and I really wanted to see if she could turn round the lives of a hapless family who all desperately need her unique talents and help. And, of course, as in Jane’s novels, there is a happy ending. I can’t begin to imagine how different my life would be without Jane Austen. She is my greatest inspiration for my writing. Is there a single author on the planet who has not been influenced by her work in one way or another? Just thinking about a small selection of my favourite authors – did you know there are at least two hundred and fifty references to Jane Austen’s name alone in Virginia Woolf’s Complete Works, six in Dodie Smith’s I Capture the Castle, two in Stella Gibbons’s Cold Comfort Farm, two in The Collected Works of Elizabeth von Armin, and one in A. S. Byatt’s novel, Possession? That’s just six authors I’ve happened to mention who probably wouldn’t have been writers if not for Jane Austen, and the true number of those influenced and inspired by her work must run into thousands, if not tens of thousands of authors, or even more when you consider those around the world. The numbers likely run into millions. Just think of all those books that would not have been published or seen the light of day – all that pleasure, unknown, lost, and denied to us all. And that is just one difference – my life would be considerably poorer in every way imaginable. When I think of the friendships I’ve made through my love of Austen, the music and art I’ve come to appreciate, all the more because it was produced in her time, and the very many special people I’ve met along the way, a life without her is too awful to contemplate. There will be further chances to win the same bundle of prizes each week throughout our series of guest posts. Just leave a comment below about anything in Jane’s post above, or share with us how your life would be impacted if those wonderful novels had never been published, those much-loved characters never existed, and Jane Austen had remained completely unknown to the world. All those who comment will be entered into a draw to select the prize winner, which will be announced the following week. < Previous First Giveaway Winner Announced! Next > New Giveaway Winner! Cass, I didn’t know you had a new book coming out! I’ve gotten behind on all my Austen-blog-hopping the past few months. I’m off to investigate the premise and add it to my tbr list! I love Jane Odiwe’s writing and drawings too, Monica! It’s the loss of friends which would impact me most too, I’m sure. There’s a bit of blurb about the book under Book Releases, but we’ll be revealing more over the coming weeks. It comes out 7th July! Thanks for commenting and good luck in the draw! It’s so funny, when Cass and I started writing the main conflict for the story it was always light hearted to me (probably because I always knew how we were going to end up! spoiler: it involves The Martian and dinosaurs! – just kidding, I’m lying!). But as soon as we decided to ask other people (notable people in the JA world!) I started to feel instant guilt… because really – this is serious business. We have so much Real Life based on JA’s fiction… that it’s a little offensive of us to put it all in jeopardy! Even in fiction! Thank you, Monica-so kind of you to say so! I was thinking about when I really started following websites and trying to do my own writing, and I hadn’t realised it must be about 15 years ago. Like you, it’s brought such a lot of pleasure – thank you for being such a great supporter – I haven’t had a chance to get hold of Cass and Ada’s book yet, but I’ve heard so much about it, and it sounds fabulous-can’t wait to read it. Hi Monica, Thank you for your very kind words, and for being such a wonderful supporter! I haven’t had a chance to read Cass and Ada’s book yet, but the premise is fabulous-right up my street, and I can’t wait to read it! I think Jane Austen would be both touched and proud to hear she inspired you to write and speak out and pursue a degree! Good luck in the draw, and remember there are several more chances over coming weeks! I hope that you achieve that writing goal as well because that means we have another lovely voice in the ‘darkness’. As you say, beautifully written characters create a world we can go to to restore and rebuild ourselves – so yes, since you know what an impact that can have you have a responsibility to keep working on that writing for the betterment of us all! If not simply the betterment of a rough week! Hi thatlittlegirl, I hope you get a chance to pursue your writing dreams! Thank you Jane Odiwe for this lovely blog post! You really were closest to us at the very beginning of this journey, though it seems crazy that it’s already been over a year ago. Hoping we can meet up while I’m in town! That was a fun evening! Thank you, Ada-I’ve loved hearing all about your upcoming novel, and I’m very intrigued to see where the story goes. I love the premise and am so looking forward to reading it. I can’t believe how quickly time is passing-I hope we can meet up too! LOL! Good point, Vesper. Who does decide on that?! Not it! Although I can imagine spiraling out on some aimless fear and choosing a random detail/reference like that to focus on. Of course the more obvious answer is that the text is prob in a computer somewhere and they just do a search. Heck, the computer probably even counts it up. BUT hey – in order to do that you’d still have to figure in ALL the possible references. SO maybe it is a person. Like me… who couldn’t sleep because I can’t decide which family members would be more forgiving of my kids’ weird eating habits if we died and they had to be raised by someone else…. Vesper, I did a search in my Kindle to find out if authors had mentioned Jane Austen- I was amazed to find so many references. And that was just with the reference to her name-I’m sure many authors have mentioned her books. I’m sure there’s a reference to Pride and Prejudice in a favourite book of mine- I Capture the Castle, and I’m sure the heroine’s name was chosen because of Jane’s sister Cassandra. I’m reading a Rebecca West book at the moment and there is a reference to Jane’s novels. I wonder how many authors were influenced by her-I’m sure the numbers are enormous! I love Jane’s writing and art too, and the historical detail in her latest novel is just wonderful, a real mash-up with Downton Abbey but without the severe angst! We’ve circled around this topic for awhile haven’t we – do we know WHAT exactly resonates so deeply with everyone even after 200 years? We all know what she does so well – and is it just the fact that it’s quality character/wit/description/arcs that makes it so timeless? Or is it something more magic? So many of us that love JA love reading in general. What other 200 year old works do we all still find so accessible? I mean yes of course we still read Wuthering Heights etc – but it’s obviously not nearly as easy to adapt – at least not in modern times. We all recognize the characters and the drama, but there’s a difference there. I think Harry Potter will eventually get to this status because, even though its fantasy, it’s humor, wit, character studies (the WEALTH of all of it) will never get old. Someone check in on this blog in 200 years will you? And tell me if I’m right! Thank you, Tara for your lovely comments. I know Cass and Ada have been doing lots of research in Bath for their book – such hard work ; ) and I think we would all agree that doing the research for a new novel is one of the joys of writing! Lovely to hear your story of discovering Jane, Janis! This just shows that her reach continues to expand, and I love that you have embraced the whole online community! I too love ‘meeting’ fellow fans and obsessives through social media, and quite often in person at a later date. It’s a wonderful way to make friends, and for that I thank Jane Austen with all my heart! Glad you enjoyed Jane’s post and good luck in the draw!! I think re-reading at different times of my life is fascinating. I mean obviously I crack open the books to read favorite sections all the time. But I don’t really read word for word, cover to cover that often. The first time I re-read P&P I was a newlywed. The second time I had children! Each time I re-read I understood things in a totally different way from my former selves! Hello TeaGuide, thank you for your kind comments – I think my first real experience was watching an old black and white film – the reading came later, and I remember struggling initially with a library copy of Pride and Prejudice. But, like you, I’m so glad I’ve had the opportunity to ‘consume’ so much! I love that Virginia Wolf was such a fan and guess what? A. S. Byatt’s Possession is one of my favorite stories ever. On top 10 list together with Jane Austen to be sure. Now I must read Stella Gibbons’s Cold Comfort Farm to see the references because so far I only watched the adaptation. Jane, I am always in awe of your talent. I must say you have the best of two of my favorite worlds – writing and drawing/illustrating. I wish long life to both! I guess I have a new favorite – Wentworth and Anne in Bath. OMG! Gorgeous! It takes me back to old books and a well spent childhood. Thank you! I haven’t read Possession, though I saw the film. Must add it to my list! Thank you, Cass-I loved painting that one. You must add Possession to the list-I know you’ll love it. Wentworth & Anne in Bath; That illustration is my favorite too! Ada, I think you’ll love Possession, and the film is worth a watch too. allthingsja – thank you, you’re very kind. Possession is such a wonderful book-if you haven’t read Cold Comfort Farm, you’re in for a treat-it’s very funny! Hoping to read it this summer! And the cover art is gorgeous! Ok I really like the giveaways. Cass, did you keep any for me or am I going to have to get my mom to enter our contest to give me a chance of winning it!??? Great post Jane, you always give me something else to consider! 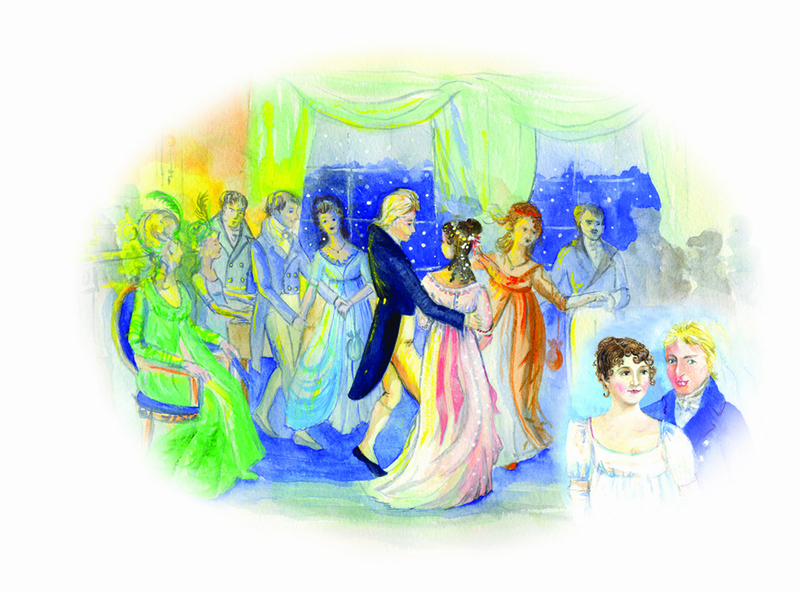 I loved Jane Austen Lives Again and I love your illustrations. You certainly beat me in age when it comes to an introduction to Austen but I’m sure 12 is a much more serious age to fall in love with Mr Darcy! Thank you, Hazel – you’re always so lovely about my books and illustrations. Twelve years old is the perfect age to fall in love with Mr Darcy! Ooo, that’s a great thing to ask people! I was… hmmmm… 15? I’ll be honest and say I love all of Jane’s drawings, but these three used in her post are particular favourites! Thank you foxinfrocks- you’re very kind to say so! We feel lucky to have her! Thanks for the comment foxinfrocks! Those drawings are exquisite! This is a lovely post. I don’t know where we’d be without Jane Austen. Me neither! So pleased you enjoyed Jane’s post and her beautiful drawings! Thank you, NovEllaandBanannabelle- love your name! I don’t know where we’d be either- unthinkable! Absolutely! Thanks for the comment, good luck in the drawing! I look forward to seeing what comes of Ada and Cass’ collaboration, too. Thank you, Sophia Rose! We hope you enjoy the read and good luck in the draw! I’m glad you’ve enjoyed my books-thank you- and of course, like Cass and Ada, we have to thank our Jane for inspiring us! I always feel like an insider when I find those references! Thank you for the comment! I first encountered Pride and Prejudice when my oldest sister had to read it in high school. When she finished it, I pilfered her book….still have it too, though the first 50 pages are falling out. I’ll never give it up!! I love this! I would treasure the book too! Well worn copies are the best. For someone like me who re-reads sections more than the entire book I adore knowing exactly where on the page is the moment I’m looking for and that the book falls open naturally at those places! Thanks you for this post, it’s great. I love all JA novels, especially “Emma”, and I really don’t know what I would read if not these books! Good luck in the new draw, Agata! Thank you, Agata – I love Emma too-perhaps Jane’s cleverest book! Thank you Agata! That’s yet another great question – not only how would your life be affected, but really, what WOULD we have ended up reading most if JA’s novels never existed? I didn’t know Jane’s middle name was Elizabeth, either, Jen! Thank you for commenting, and good luck in the draw! If you don’t win, come back next week and enter again. We’ve a few more weeks of giveaways to go yet! Thank you, Jen-I’ve know you for a few years now! I’m glad you found Tabby Cow and this great giveaway! Jen Red is on a lucky streak, watch out! If you win this one – throw whatever you’re doing down and go to Vegas! That you for the wonderful interview. I have read Jane Austen’s novels since I was ten and that has given me so much pleasure as a chld.. Now grown, the lovely ladies who write P & P variations have given me so much more pleasure as there are so many excellent novels out there with our favorite characters that Ms. Austen wrote about and gave us hope in the future. Reading is ten times better than being idle or watching tv. Thanks a million for my reading pleasure and all the great giveaways! Delighted you enjoyed Jane’s interview, MaryAnn! So pleased you are enjoying all the variations! Thank you, Mary Ann- there’s nothing like a good book, I quite agree-isn’t it wonderful that we all found Jane Austen?! I am lucky enough to have one of Jane’s lovely drawings! I just need to read her book now. How did I miss this one? Jane Austen living again… that’s a great idea. That is lucky indeed! Do read the latest book! It’s a great story and an incredibly satisfying read! Thank you-rp73fr- I hope you get a chance to read it! Ooo, which drawing do you have rp73fr?? Thank you for stopping by and commenting! I loved ‘Jane Austen Lives Again’! Actually, I love all Jane’s books! The only one I haven’t read yet is ‘Mr. Darcy’s Christmas Calendar’ but it is on my Kindle and I might wait until closer to Christmas! I was wondering though if Georgiana’s story will be continued from ‘Mrs. Darcy’s Diamonds’? I so enjoyed that novella. Thank you for the giveaway! Looking forward to your book coming out! I loved it too, Carole! I read Mr Darcy’s Christmas Calendar in ‘real time’, so I read a chapter for each nominated day! It was really tough having to stop, but it also made it a lot of fun! Good luck in the giveaway, Carole. Please keep coming back each week if you’re not successful in this draw! We have several more guest post/giveaways to go yet! Hello Carole, thank you for your very kind words! I am intending to finish Georgiana’s story before the end of the year-all fingers crossed! You have great taste Carole! Thanks for commenting! I have loved all of your books Jane and am looking forward to reading the continuing stories from the Jewelry Box collection. Jane Austen Lives Again was a phenomenal story. We’re very happy to have had her do a post for us. Thanks for your comment deborahanne2! Jane Austen Lives Again has done what I thought no story could! It’s pushed Searching for Captain Wentworth off the top of my Jane Odiwe title favourites!!!! Thank you deborahanne2 – you’re very kind – I’m so glad you enjoyed Jane Austen Lives Again! Delightful post. Keep up the welcome work. I really enjoy reading Jane Austen´s novels but what I would miss more is the JAFF world, because I find a lot of amazing people that without JA I would have not met. I totally understand, AnaDarcy! The people I’ve met (and many in person now too) and the friends I’ve made would be a huge loss! This giveaway had already closed, but there will be a new guest post on Wednesday if you wish to enter again by commenting on the new blog post! I did not even realised! never mind!